The Accies boss said he has done everything asked of him by the club during his tenure. 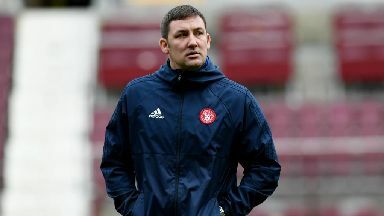 Martin Canning has launched a passionate defence of his tenure as Hamilton boss, insisting he is ticking every box at the club during its most successful period. Canning was verbally abused by a section of the travelling support during Accies' 2-0 Scottish Cup loss to St Johnstone. The Hamilton manager's father and nephew left the Perth fixture early as angry fans voiced their discontent. 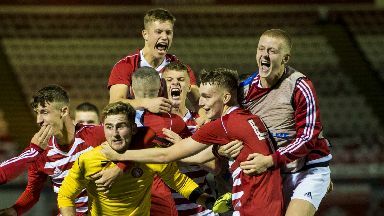 Accies are tenth in the Premiership having won one of their last ten matches. Speaking to STV ahead of facing Aberdeen on Wednesday, Canning accepted responsibility for his side's poor form but defended his overall track record since taking charge in Lanarkshire. He said: "I almost feel like I have to defend myself a little bit in terms of the record here... it's the most successful period in Hamilton's history. "My remit at the start of every season is to keep Hamilton up despite being the favourites pretty much every year to go down and to bring young players into the team, which we continue to do. "Since I have been the manager young Stephen Hendrie, Michael (Devlin), Lewis (Ferguson), Greg (Docherty) have moved for money, so we are continuing to bring players through and move them on. "Our next crop is coming, the youth academy is very well set-up, the kids have competed in Europe this year. "Our Premiership status helps attract good players to the academy who then become good players for our first team and can be sold on for a profit. "In terms of everything I am asked to do, I am doing it." He added: "I understand the fans' frustration, they just want to win at 3pm on a Saturday and for that, I take full responsibility. 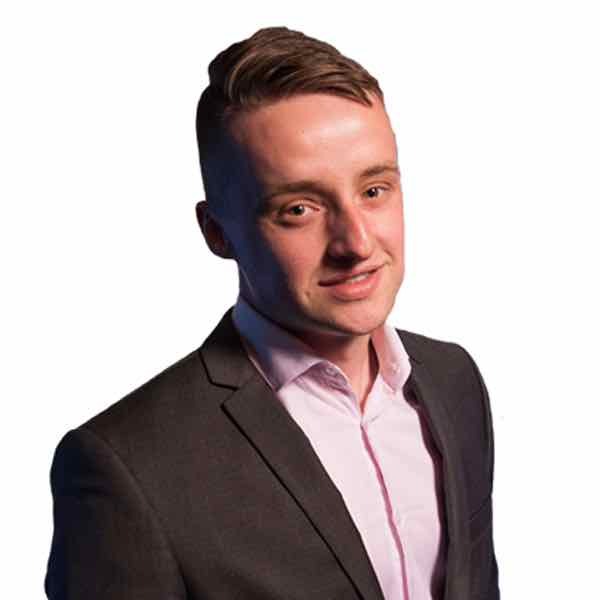 "We haven't won enough at 3pm on a Saturday but in the last 12 months we have lost Mikey Devlin, Lewis Ferguson, Greg Docherty, Ali Crawford, David Templeton, Giannis Skondras...if you take six influential players out of any team in the league lets see what happens to that team." Martin Canning defends his time in charge of Accies. Canning continued: "Yes, that is me defending myself but the facts are the facts. "This is the most successful Hamilton has ever been, the club is in a good place, the academy is in a good place, the club is competing in the top league for a record-breaking fifth season, hopefully going to make it a sixth. "We're tenth, we'd like to be higher but there are two teams below us. We have to make sure it finishes no worse than that. "Like I say, the bigger picture, I'm doing what I'm asked to do in a way that keeps us in the Premiership and produces players. "For me, my remit, I'm doing it."